Police in Laconia, New Hampshire, have arrested a woman they say was speeding while drunk, fled officers and resisted arrest. Sherry Giddis, 47, of Gilmanton, was clocked traveling at 90 mph in a 45 mph zone on Route 106 in Belmont around 11 p.m. Sunday. Police say they attempted to stop her vehicle to no avail and she drove into Gilford and then Laconia. Giddis eventually drove to a McDonald's where police stopped her. They say Giddis refused to open the door. Officers broke a window to reach her and Giddis allegedly fought with officers during the arrest. 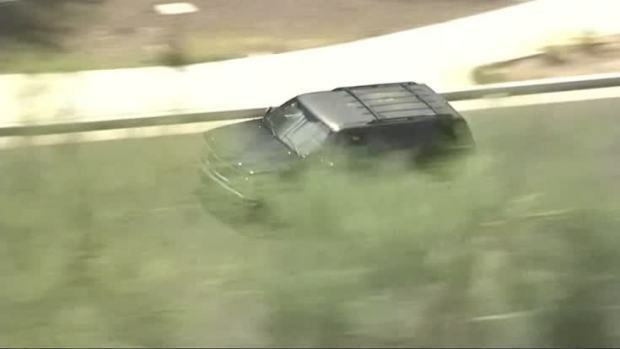 A suspect in an Arizona bank robbery and pursuit died after an exchange of gunfire with police officers Tuesday afternoon. The deceased suspect has been identified as Steven Del Rio, 31, who had previously spent time in prison for armed robbery, aggravated assault and endangerment, according to Arizona Department of Corrections records. Del Rio was most recently released from prison in May. According to police, someone in the suspect car shot at an Avondale officer when he tried to stop the SUV. Phoenix police then took over the chase. Officers determined Giddies ran another car off the road earlier in the night. She was charged with three counts of Disobeying an Officer, Aggravated DWI, Resisting Arrest or Detention, and Felony Reckless Conduct all out of Laconia. Belmont Police have pending charges against Giddis for Disobeying, Theft and Reckless Driving. Gilford Police have pending charges for Disobeying, Criminal Mischief and Reckless Driving. She refused bail and will be arraigned Monday. It's not clear if she has an attorney.